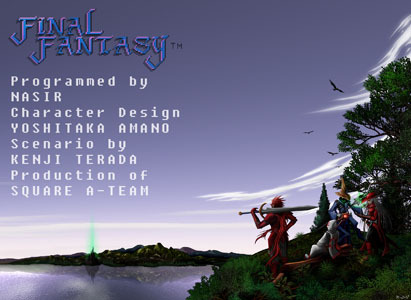 Okay, silly wordplays are silly ..let’s talk about what we have here on the first FFF – thee first Final Fantasy Art Friday on Game Art HQ! And we begin it with three artworks which were submitted a bit too late to be in the Final Fantasy 25th Anniversary art tribute on GAHQ which you can (and you should!) see here. 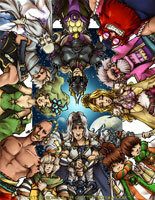 We have the main antagonist of the first game, Garland, a fight between a Pirate and the Monk and finally a drawn reproduction of the Intro of Final Fantasy. 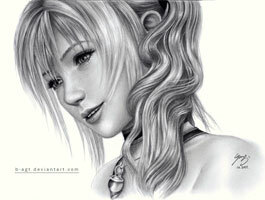 But a FF Art friday about only one FF would be lame.. so here we have a really beautiful traditional drawing of Serah Farron from FFXIII, all the weird and cool Final Fantasy IV heroes as well as a really nice Rydia from FFIV..and last but not least something Final Fantasy VII related of course but the Midgar Zolom battle illustration. Hope you like these artworks as i did aaaaaaaand happy weekend to ya!